4-Word Review: Clara dispenses her wisdom. Leona (Kathleen Quinlan) is spending some time at a Jamaican resort trying to recuperate from the sudden loss of her infant daughter. 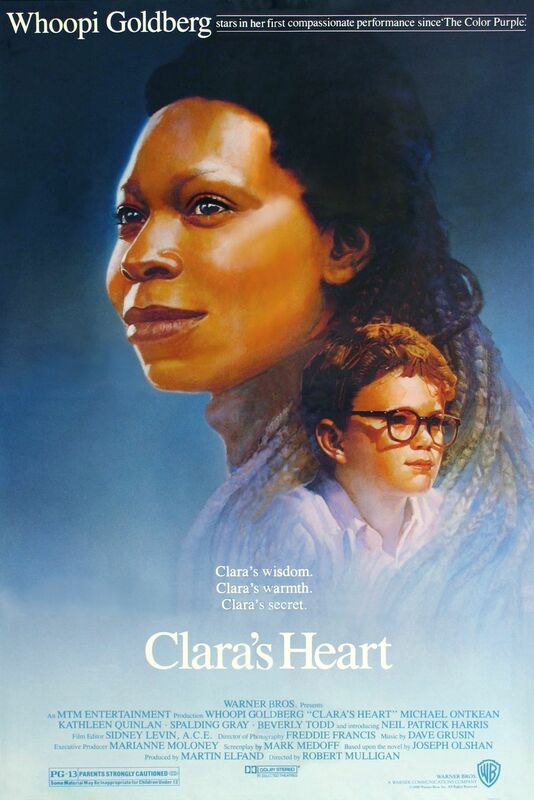 There she meets Clara (Whoopi Goldberg) who is working as a maid there. The two quickly strike up a friendship and Leona then hires Clara to come home with her and take care of her 10-year-old son David (Neil Patrick Harris). David does not like Clara at first, but the two eventually attain a strong bond especially after his parent’s divorce. After some box office failures with her comical films Goldberg decided to go back to doing drama with so-so results. The whole way that Clara gets hired on as a nanny seems awkward, forced and too quick and screenwriter Mark Medoff should have thought up a better scenario. Clara isn’t completely likable as she has a pushy personality and dispenses her opinions on her employers whether they ask for it or not. Eventually David’s father Bill (Michael Ontkean) stands up to her, but I think others would have confronted her sooner or even fired her. The runtime is much too long for such slight and predictable material. The whole second half gets consumed with this deep dark secret about the death of Clara’s son Robbie and when she does finally tell David the story it is a nasty one especially for a supposedly ‘family friendly’ film such as this one. It also brings out the question that if Clara raised a son that was so very troubled why then would she be so confident about knowing how to raise someone else’s? Harris is outstanding in his film debut and really helps to carry the movie along. The sarcastic and glib comments that he spews out is the film’s highlight. The big glasses that he wears seemed too reminiscent to the Corey Haim character in Lucas, which came out just a couple of years before this one. I was also confused why during a school swim meet he would be the only one wearing a T-shirt when all the other swimmers weren’t. Spalding Gray appears in support as Leona’s new boyfriend. The script though does not take advantage of Gray’s unique talents and the film would have been better served had they allowed him to ad-lib and improvise. Also, the woman who plays Bill’s new love interest looks too much like Leona and in a visual medium such as this it is usually better to emphasize contrast. The production values are good and I loved the large home that David’s family lives in and the by-the-lake location. However, the material is too formulaic and Clara’s and David’s bonding sessions become strained and corny. The film’s ‘feel-good’ message is lost in an approach that is sterile, mechanical, and by-the-numbers. This entry was posted in 80's Movies, Adolescence/High School, Drama, Movies Based on Novels, Obscure Movies and tagged Entertainment, Mark Medoff, Movies, Neil Patrick Harris, Review, Spalding Gray, Whoopi Goldberg. Bookmark the permalink. Garbage that buried Goldberg’s film career.